Just as PVC patches have many advantages that embroidery patches don’t have. Similarly, PVC patches also have some uses that cannot be replaced by embroidery patches. Do you know what the use of PVC patches have? In GS-JJ company, you need to expand your imagination, because you will be surprised that PVC can have these uses. PVC patches can be used for identification. On the reverse side of our PVC patches, you can fill in the names, addresses and telephone numbers. And there is a belt at the top to make it easy for you to tie it up somewhere. For your better understanding, let me give you an example. For example, when your child is on the way to school, he gets lost. This is when our PVC patches come in handy. Ask your child to bring PVC patches with him or tie it to his backpack. 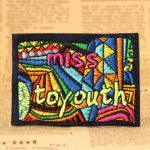 This will help good people to see the information on the back of PVC patches, and they will contact you to call you, or according to the above address directly send your child home. And if you have elders in your family with Alzheimer’s disease, our PVC patches can also be of great use. PVC patches can add features to the tour group. On the front side of PVC patches, you can design the logo of travel agency on top, and you can add local scenery to it. 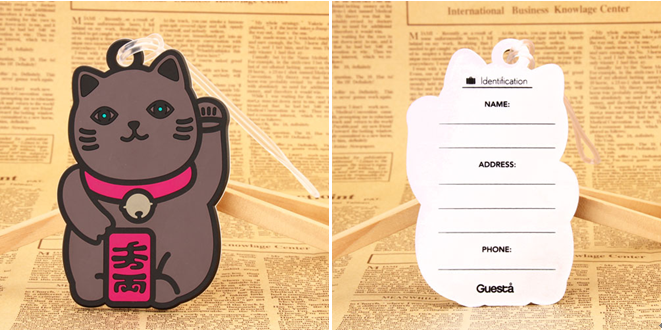 On the reverse side of the PVC, you can fill in the personal information of tourists, including name, which country, province, and phone on the backpack, so that visitors can quickly find their own things and prevent others from getting wrong. The carefully designed PVC can not only be given to tourists as a good ornament, but also a major symbol and feature of the travel agency, and it also saves many unnecessary troubles for tourists. 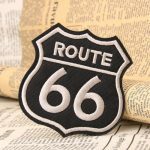 We’ve talked about embroidery patches before, which can promote your business, and PVC patches can also play a good role. This is because PVC patches have more plasticity. 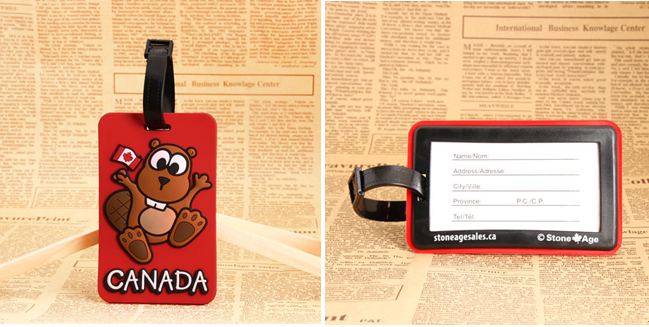 Choose some lovely pictures, add your company’s LOGO, and then get a key chain on it as a small gift to your customers. Although the gift is small, it is very practical. What’s more, few people can resist the lovely things. In this way, customers will have a good impression of your company and will become more inclined to become your regular customers. Similarly, this has become an advantageous way to expand the company’s popularity. If you know enough about PVC patches, you will know that the advantages of PVC patches are far more than that. Any more questions, please feel free contact us. We are happy to answer them for you. You can directly comment on your queries on our blog, you also can visit our website, or email info@gs-jj.com or call 1-888-864-4755 toll-free.